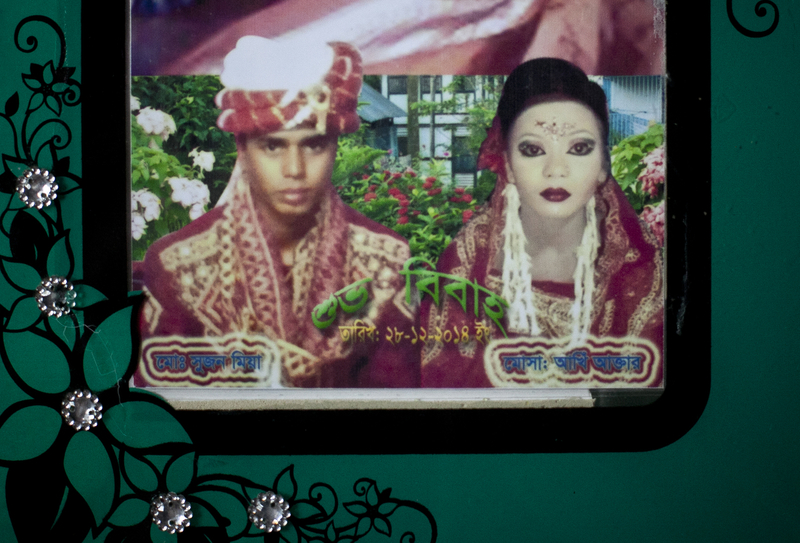 27 year old Mohammad Sujon Mia and his wife, 14 year old Mousammat Akhi Akhter, are pictured in their wedding photo. Last year, when she was only 13, Akhi got married a 27 year old man. She had finished 6th grade and wanted to wait until she was older to get married, but she says her parents felt social pressure to marry her young.